Visiting hill stations is something exciting for visitors and it becomes even more thrilling when it comes to climb on Stone Mountain in Georgia which is very famous. 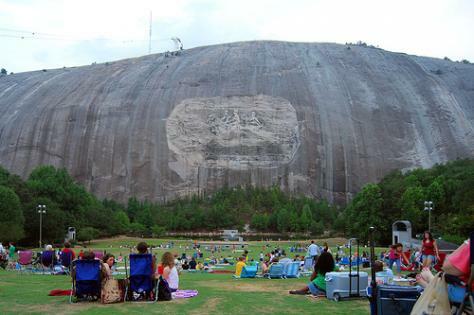 People who visit Georgia never miss visiting the Stone Mountain which provides the best view of the landmark lying around the mountain. Many people think that climbing a mountain is something very difficult but climbing the Stone Mountain in Georgia is not that difficult. If you have a plan of going to Georgia and want to know how to climb Stone Mountain in Georgia then take help from this article. First of all, you should reach to the Stone Mountain park where people park their vehicles. This park is also a great source of entertainment for families and visitors and people come here for picnic. Make sure you come here early in the morning as the parking area remained open from 6 a.m. to midnight. However, the officials close the trail to climb on the Stone Mountain at evening before getting dark. Visitors who want to climb on the Stone Mountain always use these trails which are built all the way to the top of this mountain. The distance of the Stone Mountain from the Stone Mountain park to the top is 1.3 miles. So, you will be covering 2.6 miles of distance in order to complete the round. Make sure you have enough water to avoid dehydration as climbing on the Stone Mountain requires fitness and having water with regular intervals will help you to stay energetic. You need to be very careful while following the trails of the Stone Mountain because these trails are steep on a few places. Carefully climb up to avoid any sort of trouble. You should stay focused while climbing up the Stone Mountain which will help you to avoid any mishap along the way. After reaching at the top, you will enjoy the beautiful view around the mountain and you can also enjoy some snacks at the snack bars situated on the Stone Mountain. There are also rest rooms for visitors at the top of Stone Mountain and if you become tired, then take rest for a few hours and then start your journey down to Stone Mountain park.